Barnet Council " too expensive to investigate"
Paul Hughes, the auditor who refused a public interest inquiry into the appalling £1.3 m MetPro security staff scandal exposed by my fellow bloggers has rejected a further appeal for an inquiry into Barnet Council’s extraordinary inability to monitor its own contracts properly. Only last week his inaction was singled out by Eric Pickles, the communities secretary, in a speech to the annual conference of the Chartered Institute for Public Finance and Accountancy (CIPFA) – the big wigs of the accountancy profession – for missing the scandal altogether when his firm Grant Thornton audited Barnet Council for a £373,000 fee. Instead Pickles praised Barnet bloggers, Mrs Angry and Mr Mustard among many others, for finding out what Mr Hughes missed. ( see my old colleague Patrick Butler in Society Guardian).http://bit.ly/pujHys Now he says he can’t really investigate because it will be too expensive for the taxpayer. He does promise that he will not hesitate to use these powers ” in the public interest” when the oucnil reports back in September if the soon to be privatised management are not ” robust” on their response. Not surprisingly Mr Dismore is not satisfied. 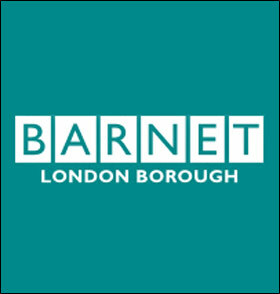 He writes back that he finds his reply “very disappointing, as I know will many other Barnet residents. Can you please set out in detail what steps you will be taking to “monitor the situation and assess the management and internal audit review work”. So there is no change here. The bloggers who got MetPro need to keep Mr Hughes on his expensive toes. A reminder: his e-mail is paul.hughes@uk.gt.com. This entry was posted in town hall and tagged andrew dismore, barnet council, brian coleman, MetPro. Bookmark the permalink. I can audit Barnet for only £100k fee, and I promise I will find the same amount of fraud as the £373k lot (ie zero). That’s efficiency for you! Now – where do I sign? Brian Coleman, what did he do before he was elected as a councillor? Does anyone know what his employment history was or what qualifications he has? we can ignore FRSA, thats fairly meaningless. All his Bio’s don’t have any history prior to entering political life.It makes me wonder why? ?